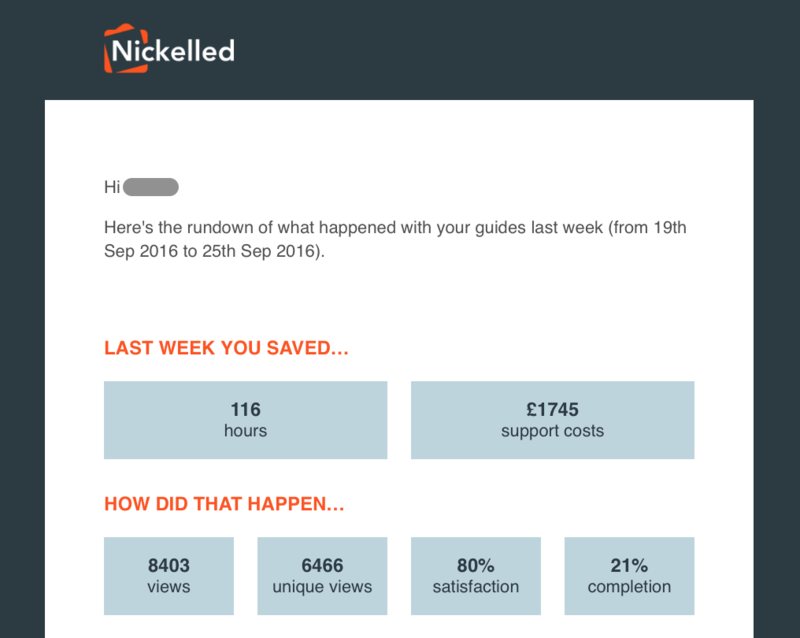 Note: This is a guest post from Nick Holmes, Marketing Director at Nickelled, a guided tour solution for SaaS companies that makes onboarding dead simple. Take a moment and think back to the last SaaS app you signed up for. Do you remember any emails you received post-signup? More importantly, do you recall logging in and taking action on the content of those emails? If the answer is yes, consider yourself in the minority, and congratulations for picking a SaaS app that clearly knows a thing or two about customer success. Go you! The sad truth is, most SaaS startups obsess over customer acquisition, but then cripple their growth by not sending the right retention emails, post-signup. Most SaaS companies don’t send nearly enough email after users sign up. 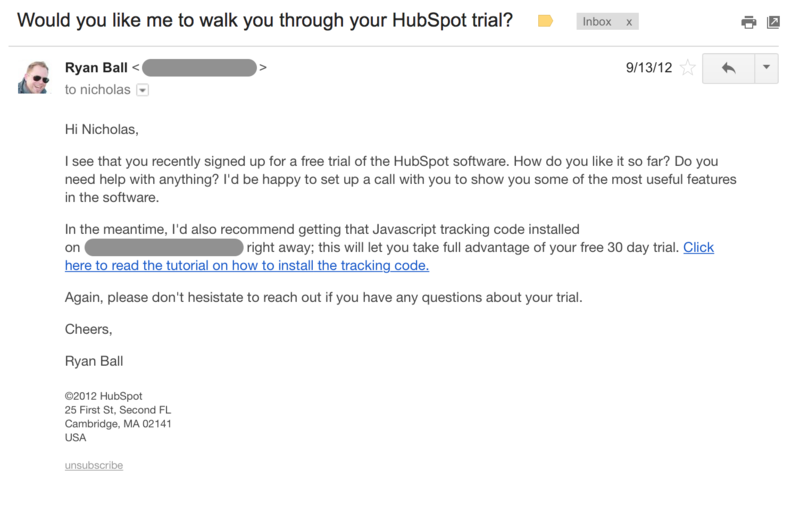 I’ve co-founded three SaaS startups, and in each them, email marketing has been a huge driver in driving new trials and increasing trial to paid conversion rate. If you’re not emailing people to help them get value out of your product, that’s your low-hanging fruit to boost your MRR. 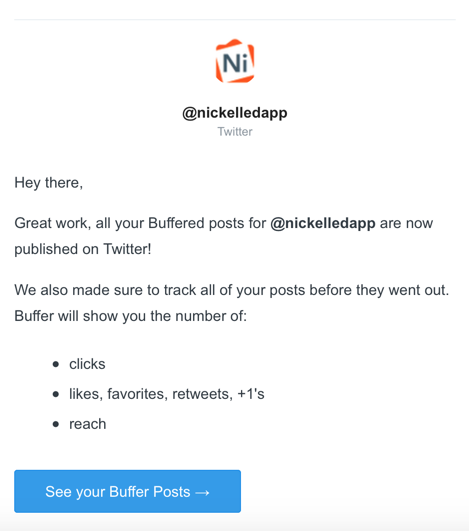 In this guide, I’m going to give you 9 proven, copy-and-paste Customer Success emails for SaaS. 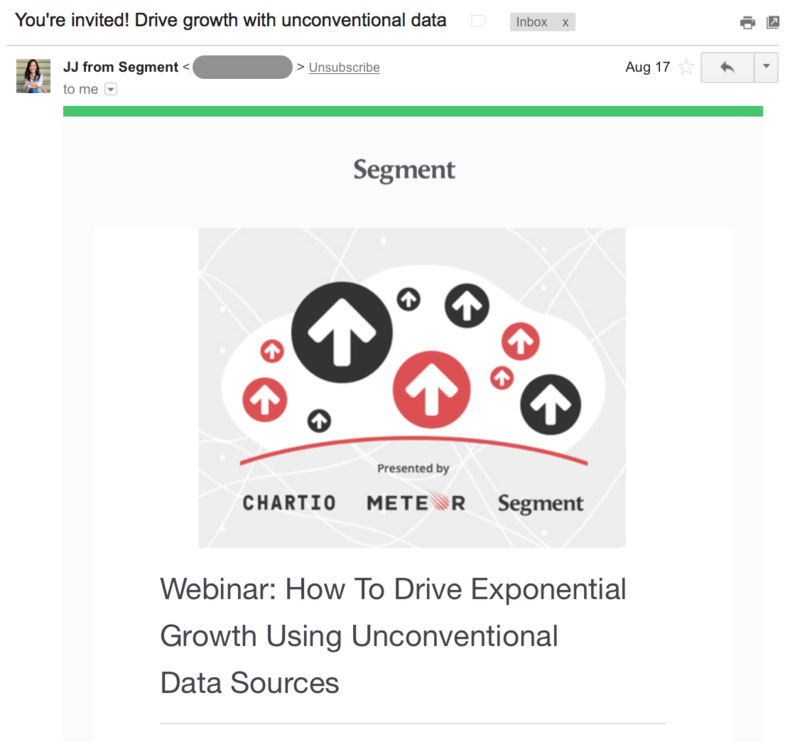 These emails will maximize retention, boost trial-to-paid conversion, and slash churn. Honestly, this one is the staple. It’s estimated that 40-60% of users will sign up to a SaaS app and will never come back. And it’s pretty hard to make a user successful by using your app if they won’t even log in. Consider sending humorous, helpful or even stern reminders to customers who have abandoned you, and track the success of these emails closely. 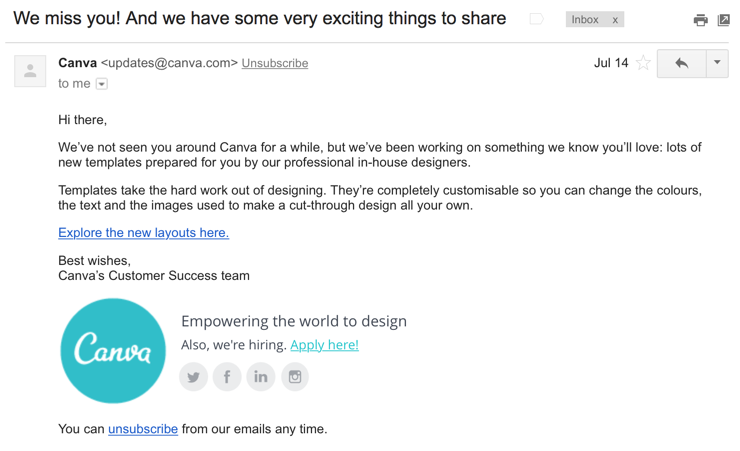 If you sign up 100 trial users every week and manage to reactivate just 1% of them by sending these types of emails, some simple email copy will have gained you 52 customers over the course of the year. Not bad! Everybody needs a little handholding from time to time. That’s why your customers truly appreciate it when you offer them a ton of value at no cost. 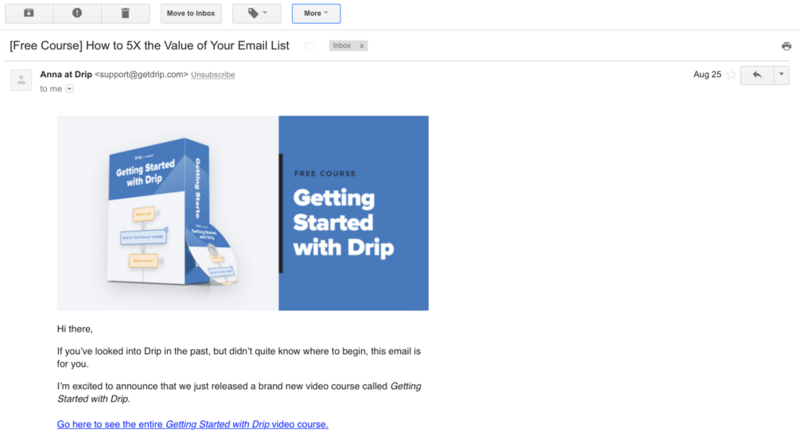 The following announcement from Drip, for instance, leads to an ungated landing page giving away an epic 11-video course – with no strings attached. This value bomb makes it easy to upgrade my marketing automation skills – and become more successful with their product. It’s easy to send an email with links to some help desk articles. In many ways, that’s become table stakes for SaaS companies today. But very few SaaS startups stand out in the inbox with a “value bomb” for new users–which is exactly why you need to be doing it. If you know much about customer onboarding, you’ll know that key activation events — the moments along the path to true success with your product — are what you need to aim for. Strong customer success people know why their clients are using an app and what they hope to get out of it. 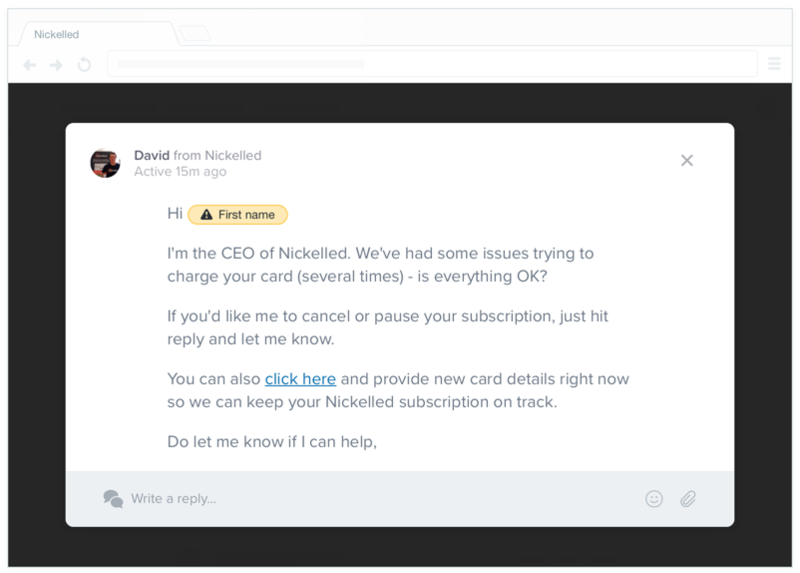 While many feature launch emails are poorly-thought-through blanket messages, there’s no reason not to drop a personalized note to a customer when a new feature launches that you know they’ll be interested in. 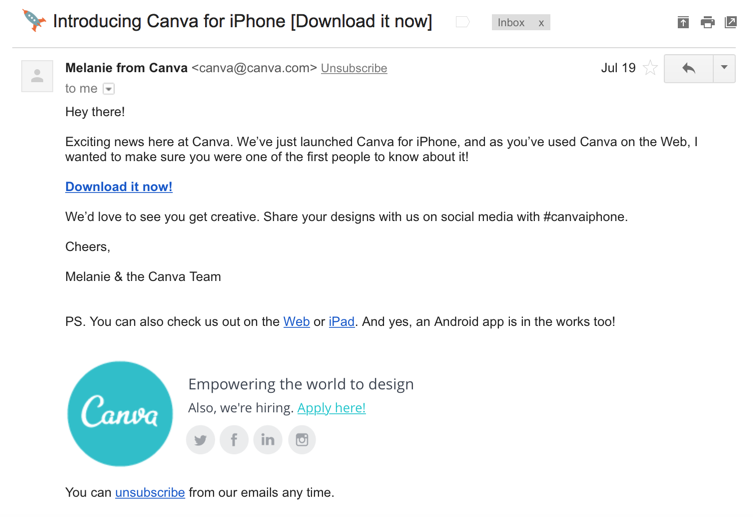 This example comes from Canva, who knew I’d been using their product on the web and invited me to use it on iPhone. A couple of clever things are happening with this email — first, the sneaky [Download it now] in the subject line pushes me to take an action and preps the CTA which I find inside the email. Secondly, note how I’m one of the first people to know about it. Clearly a marketing ploy, but exclusivity is a key driver of action. I’m bought in immediately. Awwww. Everybody loves a birthday. Working in a business partnership for a year is actually a pretty big achievement — if you’ve been providing value to each other for a significant amount of time, why shouldn’t you celebrate that? We all love to be told we’re doing well — and not just by our parents and teachers. 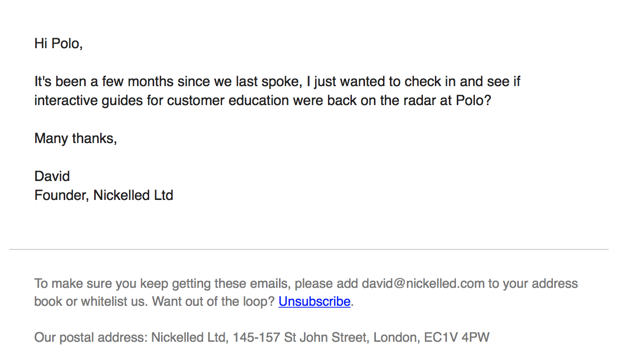 Check out the email below, which we send weekly to Nickelled customers to let them know how their onboarding guides are working out for them. How could you NOT feel like you’d made a great decision after reading that? We’ve found that, when it’s time to sign an annual renewal agreement, you will convert significantly more users when you’ve nurtured them with real results and numbers. Like any good partner, your customer success team should always be keeping an eye on the health of your customers’ accounts, and dropping them prompts when they realise that something’s wrong. If you have any other business-critical processes which are dependent on action from your customers, consider sending emails for these too. Examples might include email addresses which stop working or API connections which have failed. Early trial upgrades are one of the most underutilized sales techniques in SaaS. 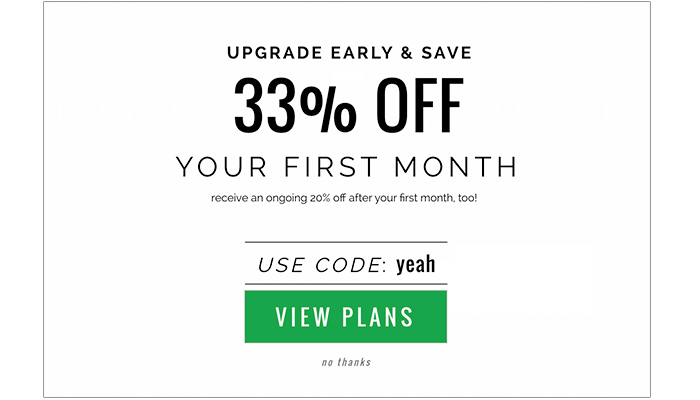 If you’re offering a 30-day free trial and the client has found value on the third day, there’s absolutely no reason not to ask them to upgrade then and there. Identifying the customers who are ready to upgrade can be a little tricky, but identifying those who have hit your key activation events is a good start. 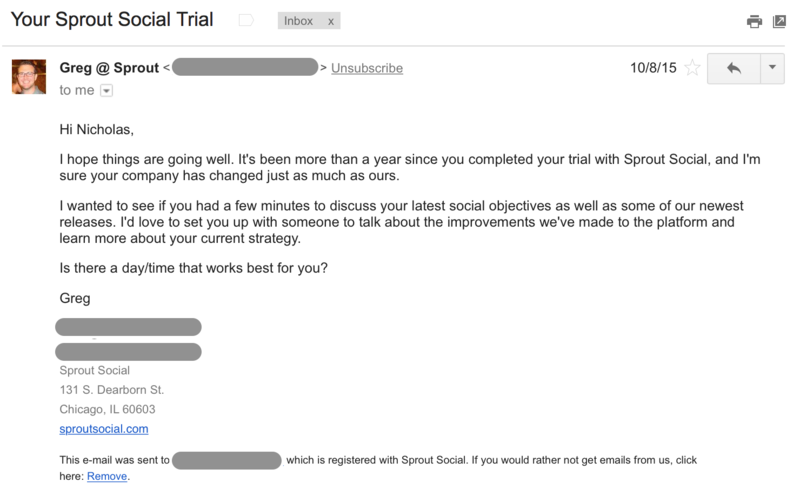 Even with all of these emails, not everybody will find success with your trial. Time runs out, roles change and priorities get in the way. That’s why sending a well-timed email reminding the user that you’re still keen to work together can help bring inactive users back. Question for the comments: Which awesome emails are you sending that score points with your SaaS users? Leave a comment below and let us know!